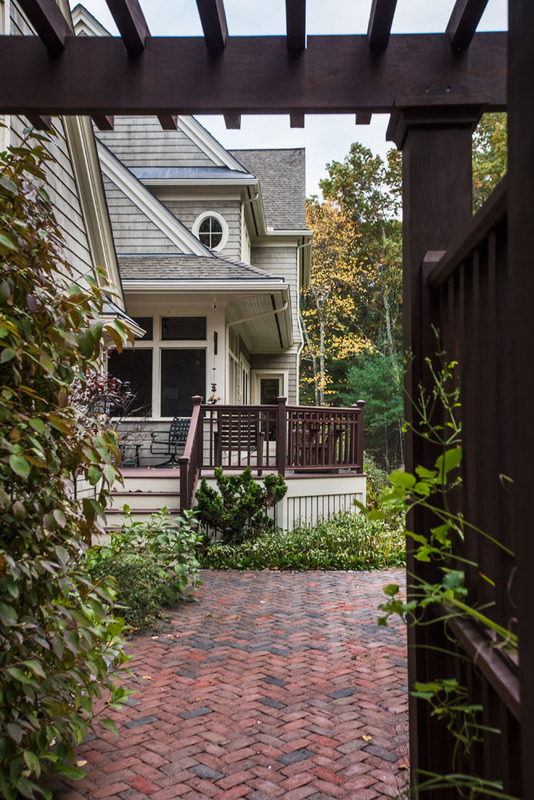 Create a single family home for a family of 5 on a private wooded lot. 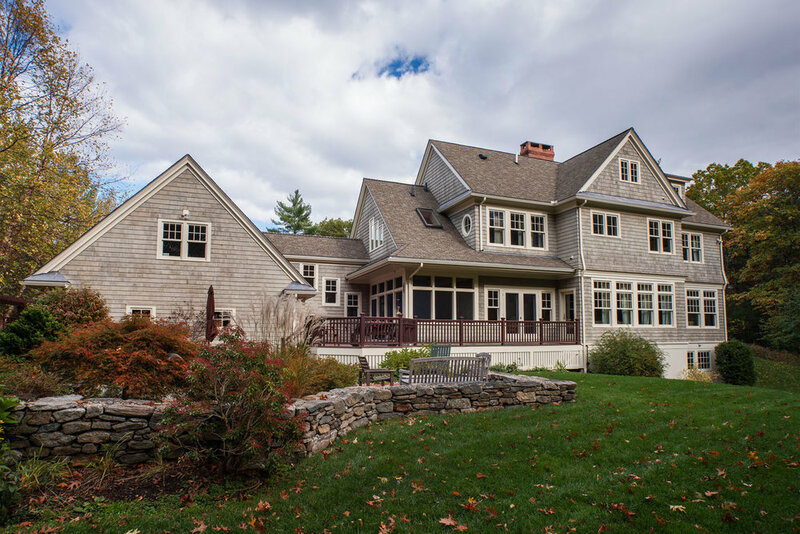 Like many modern families, especially in the high tech industry, the client wanted contemporary open plan interiors inside a traditional New England vernacular exterior. The kitchen forms the core of the first floor living space at the center of the front façade. Dining and living areas are arranged across the back of the house interconnected enfilade. 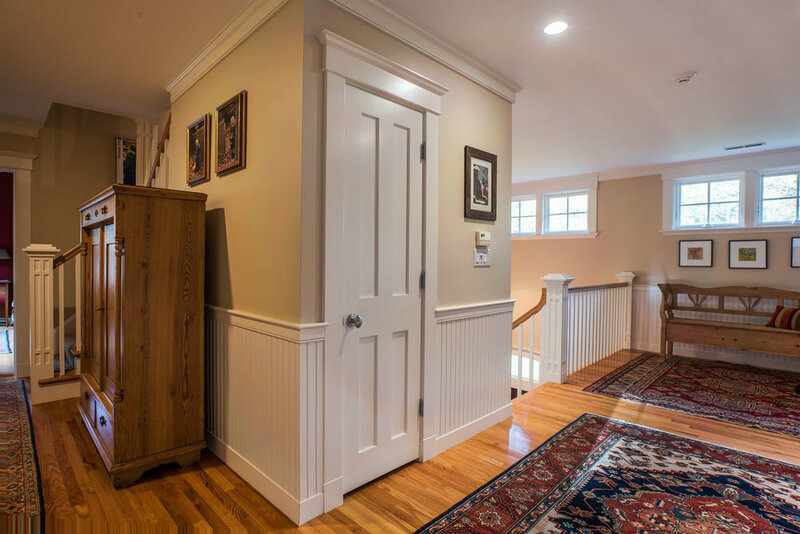 There are 2 enclosed spaces at the front of the home; a study at the left corner and mudroom next to the garage. 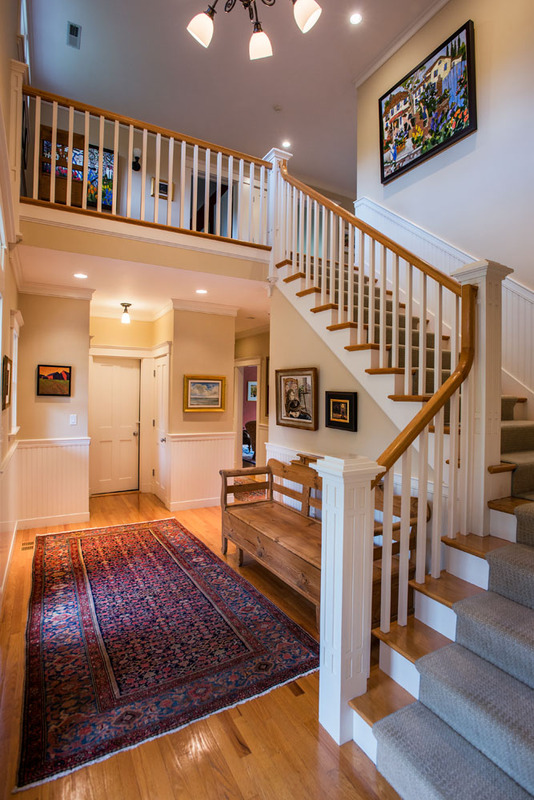 The second floor has a generous open hall at the top of the stairs overlooking the foyer accessing 3 bedrooms with the stair continuing up to a fourth bedroom in the attic. 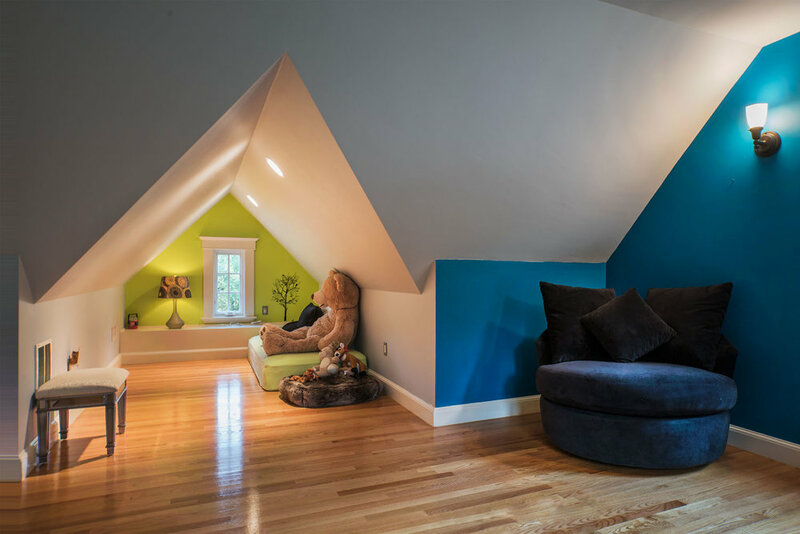 There is an independent room over the garage accessed by a back stair. 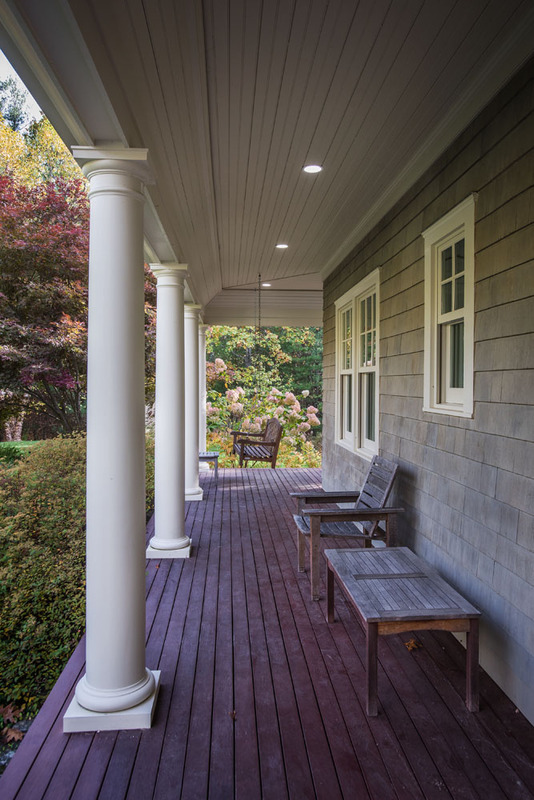 There is ample fresh air entertaining space at the back with a screen porch, deck and terrace.